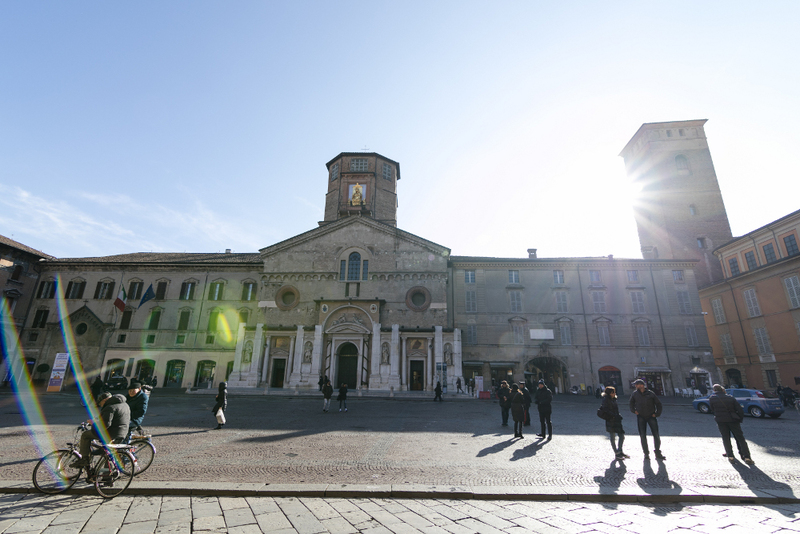 Located in the heart of Reggio Emilia, Albergo delle Notarie is only a few steps away from the historic monuments, the most beautiful squares and all the main cultural points and shopping zones of the town. Albergo delle Notarie enjoys a very strategic position for the University or the Conservatory students, and is also very close to the Church of San Prospero, the Basilica della Ghiara and to the Biblioteca Panizzi. It’s a perfect starting point for tours of wine, food and nature to discover the atmospheres, the colours and flavours of one of the most charming regions of the “Bel Paese”. Although is characterized by a strongly historic architecture from the Middle Age, Albergo delle Notarie has been recently widely renovated, in order to enhance the structure’s features and offer all guests the highest comfort and service standards. For our guests: a Restaurant specialised in typical local cuisine, a parking, a well equipped fitness area, cosy relax zones and the “Matilde di Canossa” Room that can contain up to 66 people.